2019 marks the third year Fitbody Fitness has started off the new year with a fitness/eating regimen challenge. The 6-week challenge incorporates a combination of exercise and healthy eating to achieve consistent results with better fitness and lower body fat levels. First, a brief description of this program, which we call the “LBD” (little black dress) challenge: In the 42 days, participants are assigned customized workouts based on their needs as well as their abilities. They must be able to complete three workouts per week at the Fitbody Fitness studio and commit to at least two more days of activity on their own, such as running, rowing, hiking, etc. One of the major components of the program, however, is FOOD. We have participants on a diet regimen that includes real but healthy components with lots of protein thrown in. We cover so much nutrition that it’s impossible not to find something that works. As for accountability, I hold my LBD challengers to a higher standard than they usually hold for themselves, since the entire focus is on getting results. At the beginning of the challenge, each participant recorded their goals. We supplemented our efforts with daily affirmations and positive self-talk. My hope is that these new habits are put into place to enable the participants to embrace a healthier lifestyle — not temporary goals met simply to fit into a wedding dress or to look good for an upcoming vacation. It’s all about feeling good while discovering the benefits of clean eating and exercise that can contribute to a healthier life style. It’s hard to know what truly motivates people when they embark on a challenge like this, so each time I try to change things up. Incentives along the way kept everyone motivated and interested. This year I increased the number of participants from 12 to 16, and I think I’ve finally hit the perfect number. We also held a dinner when the challenge ended so everyone could talk about their achievements, bond, and celebrate. The most rewarding outcome for me was to hear some of my clients tell me how good they felt and how their stomachs felt better, their energy increased and their depression had lifted. The group lost a total of 119 lbs. and 110 inches. In retrospect, a few participants focused more on the on the numbers than the positive changes in lifestyle, self discipline, and healthy choices. Hopefully, however, what they learned will begin to sink in and make a lifestyle difference, since the real gains are changes are in eliminating self-defeating habits. The result? 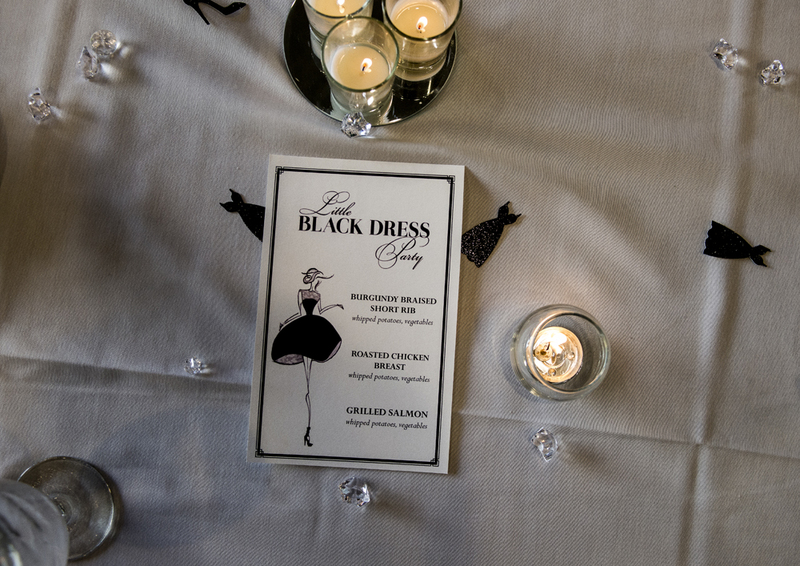 The LBD challengers experienced amazing transformations inside and out. Even my mom thought so (last photo). It is ALWAYS possible to get back on track, no matter how long it has been since you worked out. Ours is a society of instant gratification in so many ways. When it comes to fitness, however, you simply can’t come to a workout once or twice a week and expect to see rapid, big changes taking place in a month or two. It’s just not how the body responds. If it took you 10 years to add those 20 extra pounds, I’m not saying it will take another ten to lose them. I am simply saying that fitness and weight loss depend on all kinds of factors and on small but significant changes that have nothing to do with the time I spend with you. Body transformation requires developing healthy habits to replace unhealthy habits. You may feel overwhelmed with all the suggestions I make to improve your health and achieve a leaner body, but it truly is a matter of divide and conquer. I am often asked why some of my clients get great results and others, even if they gain firmer arms or legs, don’t really look like they’ve been showing up at the workout studio. And I tell them the difference is what they do when I’m not around. It’s sessions on the treadmill or runs down the bike paths 2-3 times a week, what types of food they permit themselves to indulge in, and even giving up that nightly glass of wine. Forget sugary drinks (even the zero-calorie ones) and replace them with water. Commit to at least two visits to my studio per week and schedule it as if it’s an important work meeting. Shift carb sources from processed to natural ones and fatty meats to lean ones. Supplement your strength training sessions with at least two cardio workouts per week. Start with 20 minute walk-runs and work yourself up to 40. There are reasons I ask you to do the exercises I assign you. If you balk at them, make sure it’s for a darned good reason, because it’s the ones you don’t want to do that your body probably need the most. Honestly — I am not your enemy. Exercise can help you process trauma as well as grief, allowing your entire body to cry…. Just because you are dripping wet at the end of a 45-minute 700-calorie-burning workout doesn’t mean you earned that double cheeseburger. Fitness Challenge 2018: Commentary, Results and Applause! Realistically, a 6-week challenge is not designed to help you lose a ton of weight. Losing a healthy pound or pound-and-a-half a week is what one should expect, so if you lose more, it’s truly a bonus. What this fitness challenge did, however, was “quick start” the participants on a fitness journey making them capable of establishing new and healthy habits into their lives. That means most of them now regularly read food labels, analyzing every morsel they eat as if it were a pharmaceutical. This was accompanied by a very structured exercise and strength training regimen. That meant 3 workouts a week with me, and 2-3 cardio workouts on their own in between. If you’ve ever tried to keep up a fitness routine 5-6 days a week, you, more than anyone, knows how disciplined you must be. Exercise simply has to become a way of life. But the way, eating fewer calories does not a healthy diet make. For instance, even if you cut out most of the sugar you eat, continuing to eat dairy (which turns in to sugar once metabolized) means you’re not making that much headway. Detoxing from sugar and dairy were among this group’s biggest challenges, along with cutting out alcohol. Why? My lovelies tend to enjoy their wine. This was truly a sacrifice for them, one of which I am extremely proud. Did you reach the goals you set at the beginning of the challenge, and even if you did not, did you go a long way toward them? What were some of the more surprising results of this journey? “I was able to reach 2/3 of the goals I set for myself. The only goal I have not yet accomplished is completing a half or full marathon. I will definitely achieve this goal before this summer 2018, though. In the very beginning of my journey I felt sluggish. I struggled with bilateral knee pain, lower back discomfort, I lacked strength and had zero stamina. Any attempt to exercise caused me to feel nauseated and sick. I started to grow impatient not seeing immediate results. Late nights found me reading online articles, blogs, and sifting through forums on ways try to achieve quicker outcomes. Although these resources were helpful, there is just no easy way to do it. I knew I needed to stay consistent if I wanted to become a better version of myself. I worked out a full 5 days a week, trying my best to avoid all excuses. I also found it very important to incorporate rest in order prevent physical injuries. Although I have lost weight, gained some definition to my arms, stomach, and legs, I know I still have a long way to go! “I may not have met my all my goals, but I made a lot of progress toward them. This was a big change for me. At the beginning of the challenge I had sugar withdrawals. I honestly did not think I would dream of eating Oreos and cookies, but I did! I got past that within the first week and during that time actually started to enjoy eating real foods (not processed food or quick snacks). The most surprising results of this journey were feeling more awake and energized. ~A.H. Was there anything about this experience you would like to see improved on my part as your trainer? In the end, a total of 78 pounds were lost, along with 66 inches. You can’t sneeze at that! I look forward to implementing many of these suggestions to improve next year’s challenge and am so proud of this year’s group, most of whom have now made habits out of better eating and more workouts during the week when they are not here under my thumb. 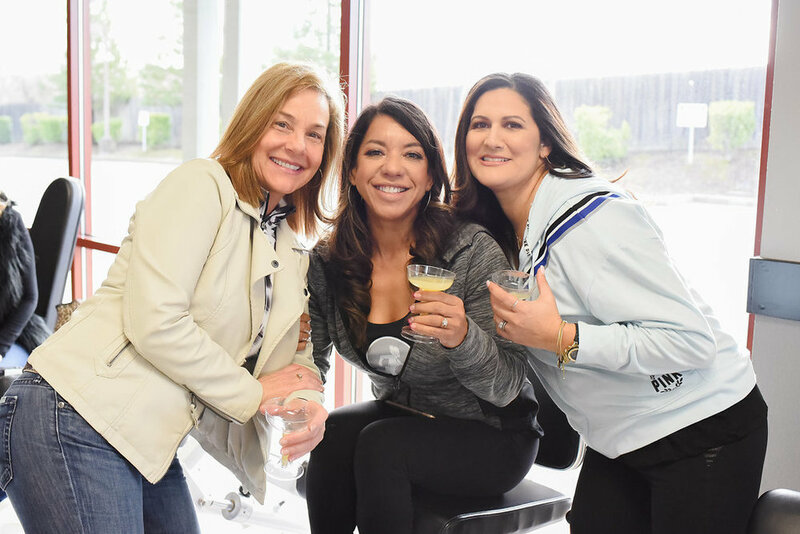 Following are a collection of photos from the challenge reception I held at my fitness studio, where we invited makeup artists, photographers, and a caterer to make the celebration even more special. 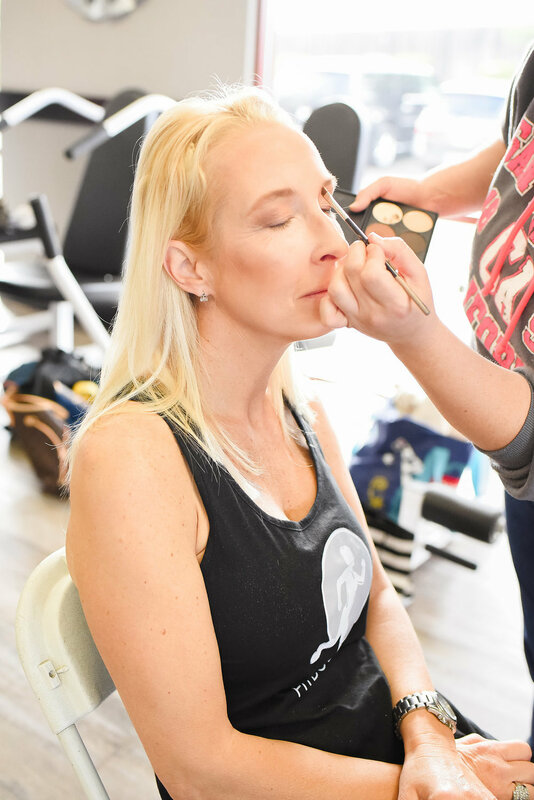 Many thanks and credit go makeup artists Breezy Welderman and Summer Mcmellen, who did an outstanding job as you can see in the photos, and photographers Michael and Debbie Torres, who captured all those looks of accomplishment on my challengers' faces.. Fitness is always a journey and never a destination, since it’s something you must continue to embrace for a lifetime. Happy spring to you all, and keep up the excellent work! As we close out January and stop saying "Happy New Year," I am thrilled so many of you are taking your fitness challenge seriously. It would be great if going for the gold six months from now becomes as important as it is to you now (I hope it does!) but I suppose any new year tends to be a real catalyst for change. Apart from proper eating, the biggest challenge most of my clients face has nothing to do with showing up for their workouts with me. While it’s true I can be the taskmaster, you all seem to know going into this that once you show up, you’re basically mine for an hour and in order to get out of here and into the cool morning air, you pretty much have to do everything I ask. The biggest hurdle, then, is getting that cardio workout in 2-3 times per week. After all, I don’t have you running around a parking lot or subject you to a rowing machine for more than a few minutes at a time. Perhaps if you looked at the cardio element of your weekly commitment differently even during weeks you find it hard to get to the gym, moving more every day (in addition to our workouts together) will simply mean less time sitting — a way to automatically lower your risk for heart disease, diabetes, obesity, and an early demise. While intense exercise is good for us, 30 minutes to an hour of cardio doesn’t completely erase the effects of a sedentary lifestyle. But it can make big difference. So how much cardio is enough? Experts recommend 150 minutes per week (30 minutes five days a week) which includes our workouts together. Whether you pick 30 continuous minutes of activity or 3 ten-minute sessions, however, there is more than one way to get more active between workouts with me. How about moving your meetings? No, not rescheduling them. I mean setting up walking meetings, chatting with a coworker as you walk around the block with them. Even walking for 15 minutes burns up 66 calories, while sitting for that same length of time uses up only 28. Mobile meetings can also strengthen work relationships as well as improve health and boost creativity. Actors playing spies and politicians do it in movies to make the context look more interesting, so why not do it for your health? Think of the ring tone on your smart phone as an excuse to stand up. Every time you take a call, stand or walk to another part of the office, if possible. Better yet, create your own standing desk by stacking books or investing in an inexpensive contraption to help you occasionally work standing up. People may think you’re nuts, but they’re not occupying your body nor looking for a way to burn more calories. Go on a cheap date with a partner, a neighbor or a friend to burn calories. Long walks with a little running thrown in. Bike to your favorite frozen yogurt hangout or even the movie theater and then walk or bike home. Or take up thy racket and hit a ball or two, even if it’s up against a building. The scramble is good for you. There are tons of computer-generated fitness games called “energames” put out by Xbox or Wii FitPlus. Find the ones that get your heart pumping! You don’t HAVE to sit there and wait for your flight or your connecting flight. You can walk around the terminal, rolling your carry-on behind you to burn up a few more calories. Pack a pair of sneakers or just wear them to the airport. Airports are now interesting places to explore, with museums, displays and great little shops — as l long as you pay no attention to the smell of cinnamon rolls wafting past you. Europeans do it all the time. Americans, not so much. Walking or biking to work. Most of us can’t picture ourselves doing this, but you gotta try it sometime just to be able to say you did it, right? The wealth of biking trails and dedicated pedestrian room on streets these days make it much less dangerous that it used to me. Map out a special route for yourself. There is more than meets the eye with personal trainers, so please choose wisely! Hard to contain my excitement. See you at my new "boutique" gym soon! When we think of making progress, so many of us oversimplify our perception of it. Just as career success is not linear, success in wight loss does not follow a straight line. Some days and weeks you may lose, while during others you may gain a little bit. And there is nothing wrong. Weight loss is a process, and our bodies are not simply machines that can be calibrated to result in a certain number on the scale each day. It’s important to realize that the number of the scale is not a precise measurement of your weight — at least no more so than your checking account balance is an accurate snapshot of your wealth on any given day. Weight, like your account, is a dynamic entity in constant flux, with deposits flowing in and bill payments flowing out. A glance at it at any moment in time is not a static truth. If you consider your average account balance each week or perhaps for the month, so you should look at your weight loss picture for that same week. While it’s important to notice trends (like maybe you’re spending too much? ), think about how long it took you to get to where you are right now weight-wise. It didn’t happen overnight. While the scale measurement may be the most convenient indicator we have about directional trends in body mass, it’s never the precise truth. When I ask my clients about their daily or weekly weight range, a rolling average of those numbers tends to be a more useful indicator of upward or downward trends than any single scale measurement in my office. The single most important thing to remember about weight loss is that weight is a behavior, not a number and not all the variables affecting it are under your direct control. It can be extremely demoralizing to set a numerical weight as your goal and not be fully equipped to achieve it – and I’m not talking about effort here. I’m referring to dozens of other factors that can serve as roadblocks – such as hereditary factors, health issues such as hormone imbalances, food allergies, etc. Making a commitment to the things you can control is half the battle, however – such as committing to two or three workouts with me and three or four more exercise sessions on your own. In my experience, individuals who make commitments like these and stick to them always lose weight. I can’t think of a single exception. People love to throw the word “metabolism” around but few know what it actually means. Metabolism refers to the amount of energy (in calories) your body requires to complete all of the physical and chemical processes necessary to life, such as transporting oxygen to cells, removing waste from the body, maintaining adequate body temperature, contracting involuntary muscles and producing proteins and hormones. The “metabolic rate”, then, adjusts dynamically in response to a long list of influencers: your age; body composition; exercise; body temperature; illness and stress; whether you’re chronically well-fed or chronically malnourished; various hormone levels; and possibly even the type of bacteria residing in your gut. Want to know the truth about your metabolic rate? What makes it adjust is a moving target. I can have clients who eat the same foods day in and day out and still lose weight erratically -- 4 to 5 pounds in one week, followed by a few weeks of plateau, after which time another small chunk of weight comes off. In rare but frustrating cases, a patient’s food journal suggests they’re producing a calorie deficit that should result in a loss… but the scale doesn’t budge. So we’ll make other adjustments that we have control over and experiment with them to get a result. Perhaps that’s more cardio. Perhaps it’s more sleep. Sometimes it’s even increasing the intake of certain types of foods. Hitting a plateau is frustrating, but it’s not a prison sentence – just a setback. When you do hit one of those periods when no matter what you do, the number on the scale doesn’t budge, instead of kicking your car tire, think of time how your changing body is telling you --- just as your muscles require heavier weights or more reps to challenge them -- that you need to change things up a bit to get to your weight loss goal. I’ll help you with those changes all I can, but as long as your goal is an achievable (and reasonable) one, the important thing is to never lose sight of it.